From our family to yours, we wish you a Happy Thanksgiving!!! Hi Quick Quote Fans! 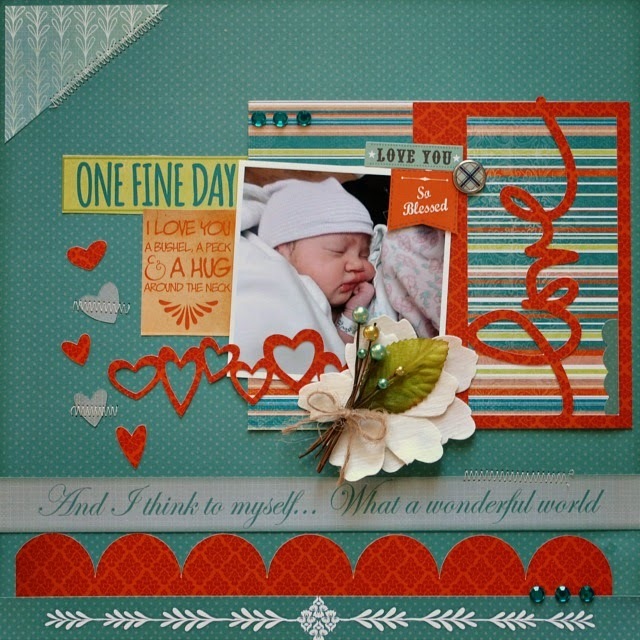 Cathy here today, sharing a layout created with the Sheer Joy Collection and the Sheer Joy Cardstock Words and Phrases! 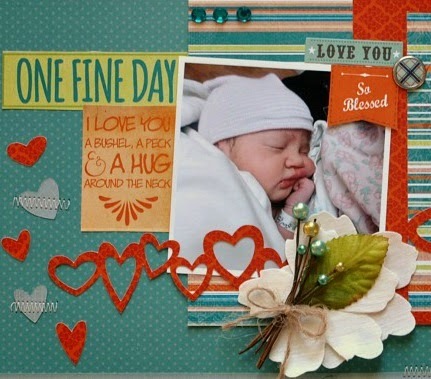 The Sheer Joy collection was perfect for scrapping my new grand baby. Lots of the words and phrases were perfect and described the day she was born wonderfully! I added some die cuts using my Silhouette Cameo, the fun scalloped border at the bottom enhanced the Sheer Joy 800 strips! This one of my favorite collections from Quick Quotes and I turn to it over and over again! We are "So Blessed and I love her a bushel, a peck"! Thanks so much for stopping on over today, have a wonderful Thanksgiving Day!